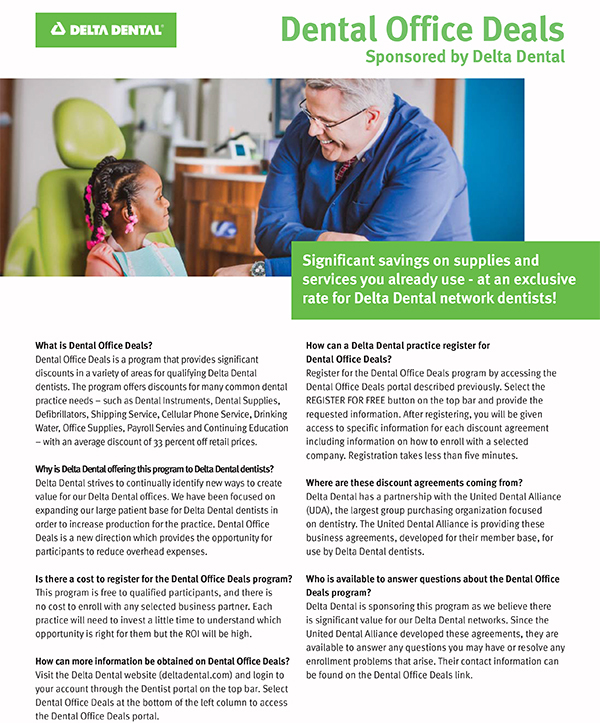 Delta Dental of Missouri has a new Value Added Services program that will provide discounts for participating dentists on many items the dental practice may need. We will be working with various vendors in the coming months to negotiate discounts on supplies, services, software, and hardware and more. When you contact these vendors, please identify yourself as a Delta Dental of Missouri participating dentists. These programs have been designed to provide savings opportunities to our participating dentist. Delta Dental of Missouri does not receive any compensation from any vendor under this program.